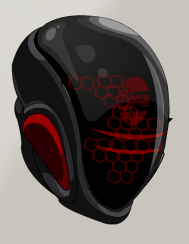 Description: After stating that you want to become immortal though technology as your #1 goal in life on EbilCorp New Employee Application Form, Chairman Platinum has loaned you this robotic helm. All he asks in return is your DYING allegiance! BAH HA HA!